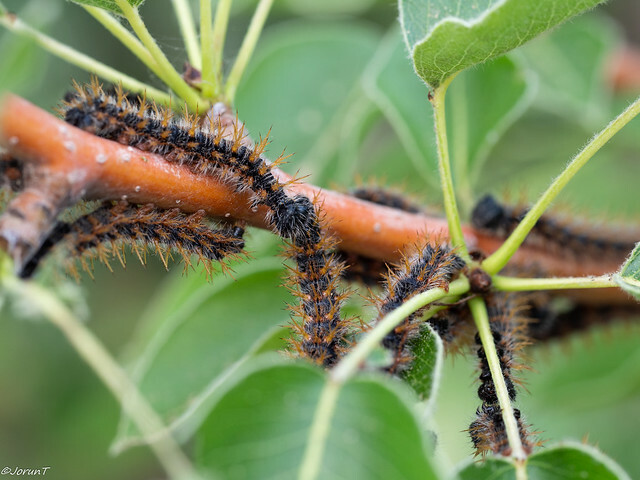 Does anybody recognize these caterpillars? They are around 4-5 cm long with a black bodies and hairy bristles. They were amazingly efficient and managed to strip several branches on our pear tree completely before we stopped them by picking them off with forceps and drowning them in water (sorry, no mercy in this case). They seem to spin silky webs after moulting, we have to brush off these as well, I suppose. Have a look at Eriogaster lanestris, Jorun. Thank you, Alisdair, they certainly look very much like Eriogaster lanestris. 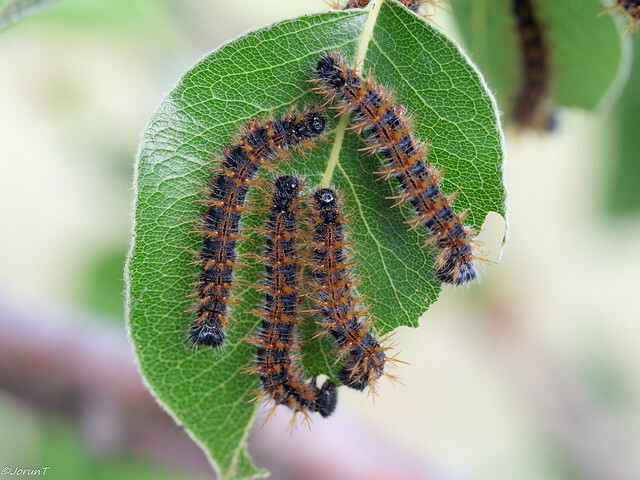 At first I was afraid that the moths were the same as those attacking mountain birch, (Betula pubescens var. pumila, in the mountains in Norway, the autumnal moth (Epirrita autumnata[/i]), which may kill the trees if they are attacked repeatedly. 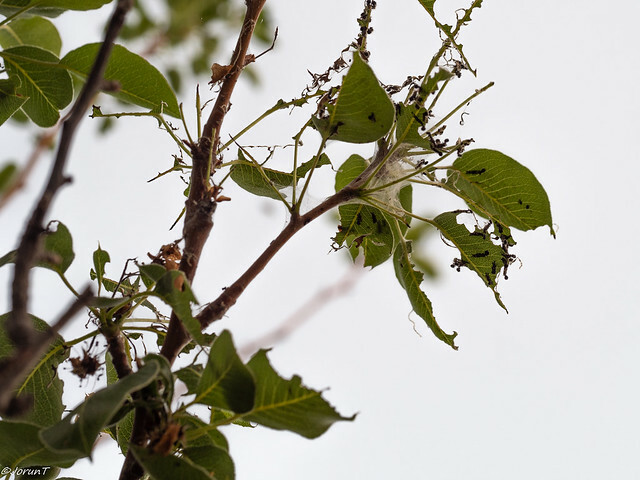 Eriogaster lanestris does not seem to be very harmful; there are more pears on that tree than we can eat. Eriogaster lanestris looks like a good call, Alasdair, though there are seven species of E. in Norway, and I don't have photos of larvae of them all (and larvae change their appearance as they develop). Ee. arbusculae, catax, henkei, inspera, neogena, rimicola.